The core purpose of ARM is to reduce uncertainties in climate model predictions. A dominant source of uncertainty in these models is the radiative impact of aerosols, which has spawned a major effort in ARM to measure aerosol properties. The Aerosol Optical Depth (AOD) value-added product (VAP) is concerned with several important aerosol radiative properties. The most important of these is the AOD, which is a measure of the total aerosol burden in the atmosphere. The spectral dependence of AOD, typically described by the Angstrom exponent, is also an indicator of particle size, with large particles having Angstrom exponent values near zero and smaller particles exhibiting larger Angstrom exponent values. Improved knowledge of these basic aerosol properties will help reduce the uncertainties associated with aerosol effects in climate models. The AODs have been derived from the MFRSR, NIMFR and SASHE instruments. For more information about these products, please refer to the MFRSR/NIMFR technical report and SASHE technical report or to the output product pages linked below. Flynn C, D Chand, B Ermold, and A Koontz. 2018. The ARM Aerosol Optical Properties (AOP) Value-Added Product. Ed. by Robert Stafford, ARM Climate Research Facility. DOE/SC-ARM-TR-211. Mather JH and JW Voyles. 2013. 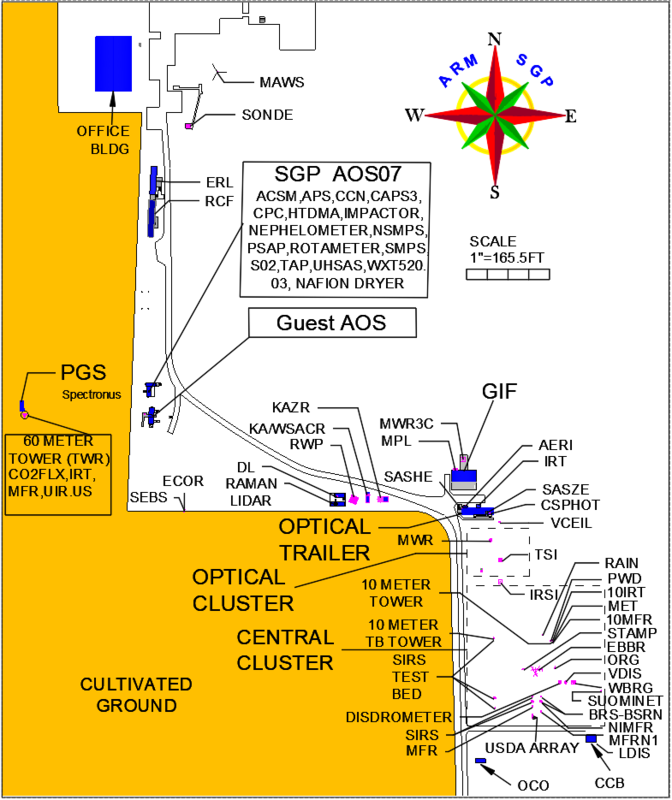 "The Arm Climate Research Facility: A Review of Structure and Capabilities." Bulletin of the American Meteorological Society, 94(3), 10.1175/bams-d-11-00218.1. Koontz A, G Hodges, J Barnard, C Flynn, and J Michalsky. 2013. Aerosol Optical Depth Value-Added Product Report. U.S. Department of Energy. DOE/SC-ARM/TR-129. Sivaraman C. 2012. ARM Climate Research Facility Quarterly Value-Added Product Report Third Quarter: January 01–March 31, 2012. DOE ARM Climate Research Facility. DOE/SC-ARM-12-008. Flynn C, J Fast, D Chand, E Kassianov, A Koontz, T Shippert, and M Shrivastava. 2012. Value-added Product Highlights from the Aerosol Life Cycle Working Group. Presented at 3rd Atmospheric System Research (ASR) Science Team Meeting. Arlington, VA.
Vignola F, J Michalsky, and T Stoffel. 2012. Solar and Infrared Radiation Measurements. Boca Raton, FL: CRC Press, Taylor & Francis Group.